A team appointment by Israeli Prime Minister Benjamin Netanyahu presented a plan to the Druze community as part of an effort to resolve concerns the minority group raised over the recently passed nation-state law. “Prime Minister Netanyahu and the team reached an historic outline that constitutes a revolution in the legal status of minority community members who serve in the security forces, particularly the Druze community,” the Prime Minister’s Office said in a statement. 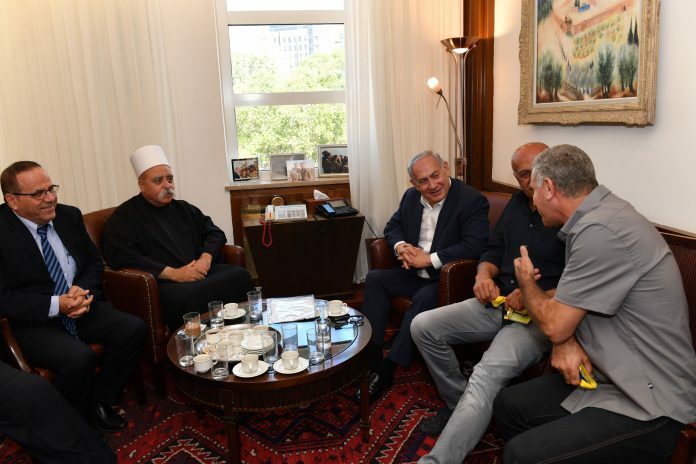 The plan was presented by Netanyahu’s acting chief of staff, Yoav Horowitz, to Druze community representatives led by spiritual head Sheikh Mowafaq Tarif at the Prime Minister’s Office in Jerusalem. Additionally, it will also confirm the eligibility for benefits of minority community members who serve in the security forces, as well as recognition of the contribution of those in minority communities who take part in the defense of Israel. Horowitz also announced the establishment of a ministerial committee chaired by the prime minister on the issue of the Druze community to oversee the legislation’s implementation. Next articleDating Forum: Can Introvert and Extrovert Work?